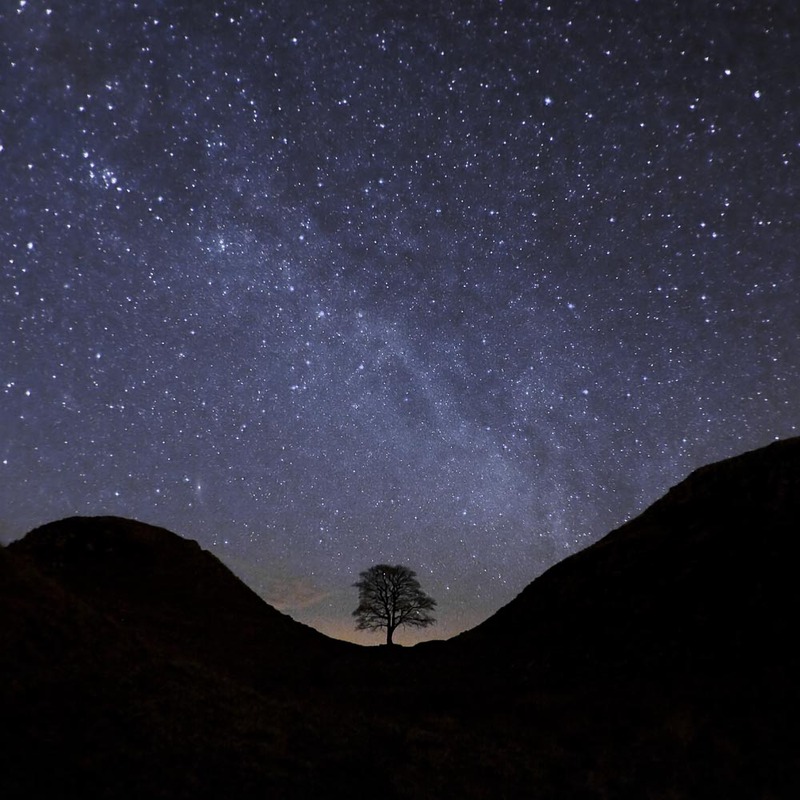 One of the most famous points on Hadrian’s Wall is Sycamore Gap, where a beautiful sycamore tree has withstood the rigours of the Northumberland weather for many years. On either side of the gap, the wall climbs steeply up the crest of the Whin Sill, a tabular layer of igneous dolerite rock in the north east of England. This was once the most heavily fortified border in the Roman Empire, and dates from AD 122, during the rule of the emperor Hadrian. The wall was made a UNESCO World Heritage Site in 1987.